The IL-60 system is a transient universal vector system for expression and silencing in plants . This vector has been derived from Tomato yellow leaf curl virus (TYLCV). The viral intergenic region (IR) is a non-coding short (314 b) sequence separating the viral sense-oriented genes from the complementary-oriented genes. IR carries the viral origin of replication as well as a promoter at each end. Placing a gene segment between two IRs at opposite orientations followed by trans-activation of the construct by the plasmid IL-60-BS, caused silencing of the pertinent gene as indicated by the silencing of the endogenous gene PDS.. 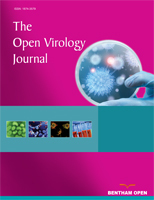 The viral genes C2 and C4 are implicated as having a role in viral-directed silencing suppression. The silencing of C2 and C4 intervened with the virus ability to counter-react to viral silencing by the host plant, thus engendering resistance or tolerance. Keywords: TYLCV, silencing, silencing suppressors, resistance..
© Peretz et al. ; Licensee Bentham Open.